Little known fact that only my closest friends and family know: I suffer from Emetophobia. For those who are unfamiliar with Emetophobia, this is a fear of all things vomit related. I turn into panic central if one of my kids gets sick, stomach bugs are my worst enemy and getting physically sick myself is nothing short of a mini death sentence, where I don't actually die but would almost rather. That being said, come cold and flu season, cleaning products are my best friend. My anxiety levels noticeably decrease at the scent of Lysol. I recently got to try Softy Sanitizing Wipes, and they have happily maintained their place in my house. First and foremost, this canister is gi-gunda! It comes with 150 wipes so it needs to be quite large. I keep the canister in my bathroom because I find it a convenient place to have it. I tend to do a deep clean once per week in the bathroom and do everyday touch-ups with the disinfecting wipes for toothpaste spots, random spills and my husbands pesky trimmings that always seem to end up all over the sink the day AFTER I clean it. Every time! What's great about the Softy Sanitizing Wipes is that they are safe to use on face and hands and kill 99.9% of bacteria in 5 seconds. So aside from using them to clean around the house, I also carry a ziploc bag of these in my purse for those times when the kids need their hands and/or faces sanitized but we are not near soap and water. The Softy Sanitizing Wipes are decent sized at 7'' x 8'', are super-soft and can hold up while cleaning whether it is hands and faces or surfaces. Upon my first look, I thought that they would tear easily because they seem thinner than other conventional wipes on the market, but they didn't! In fact, they can hold up a 12 kg kettlebell! Plus, they are alcohol-free so you don't have to worry about harming surfaces, or drying out your skin (or stinging the random paper cut you forgot you had). They actually have vitamin e and aloe in them to cater to the sensitive nature of skin. They have a pleasant, clean scent to them too. I have enjoyed using my Softy Sanitizing Wipes, and would certainly purchase them again. 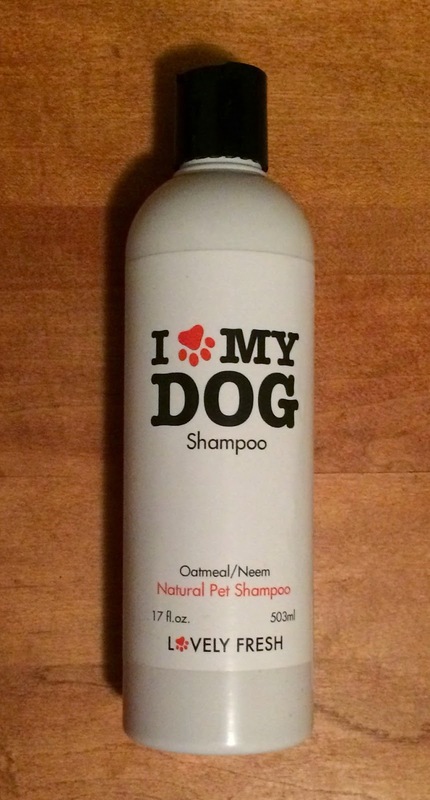 If you are in need of a product like this, you can grab your tub on Amazon HERE for $14.98. Plus, they are made here in the good old U.S. of A.! Keep germs at bay this year as the flu and cold viruses spread like wildfire. When I look for a moisturizer, I look for something that uses natural ingredients, and that provides the benefits of a cream, in a light-weight, non-greasy lotion. 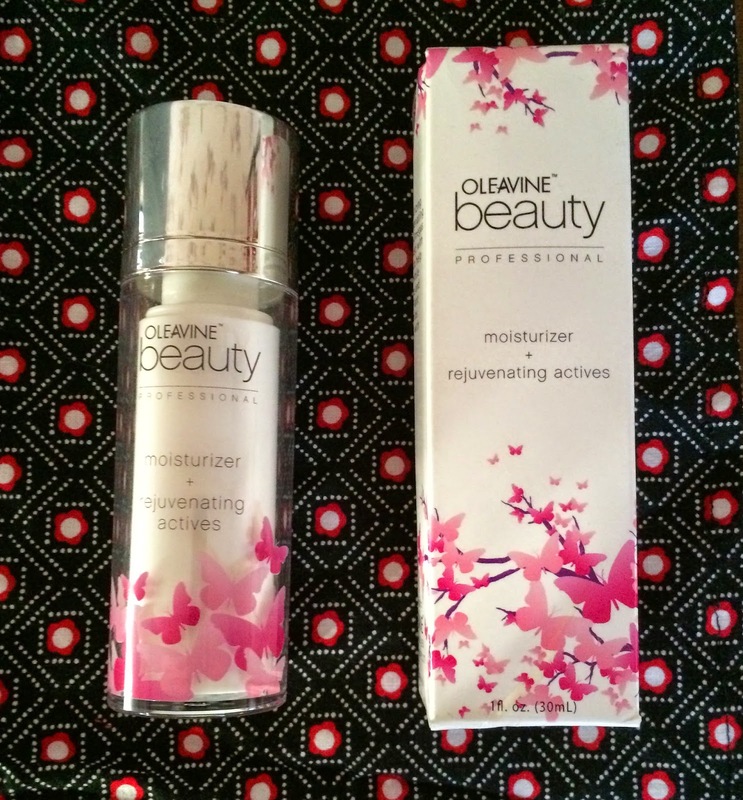 I recently tried out Oleavine's Moisturizer + Rejuvenating Actives, and this meets my expectations on so many levels. First of all, the packaging is BEA-U-TIFUL, and unique in that you twist-up the pump-top. So pretty, right? What's even better is the nature and benefit of the ingredients used in this moisturizer. 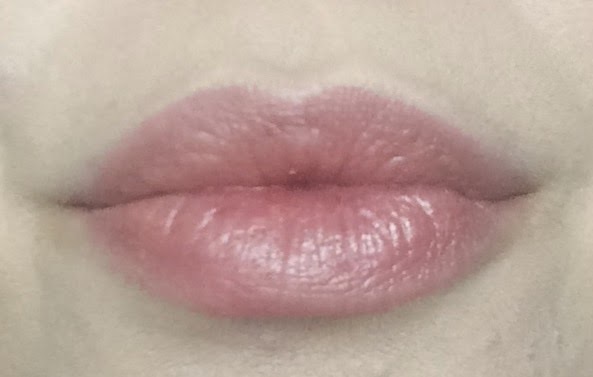 Aside from being preservative free, paraben free, petroleum free, phthalate free, sulfate free, silicone free, cruelty free, gluten free, allergy free and non greasy, it uses several botanicals, plant stem cells and vitamins to lock in moisture while also improving the texture and tone of your skin. On top of that, Oleavine takes special care during the creation of this product through cold-processing. In brief, cold processing is much better when you use natural and organic ingredients because it preserves the quality of the ingredients, allowing them to do what they do. If things are refined and processed in heat, they are often damaged, and will not function as they would in nature. 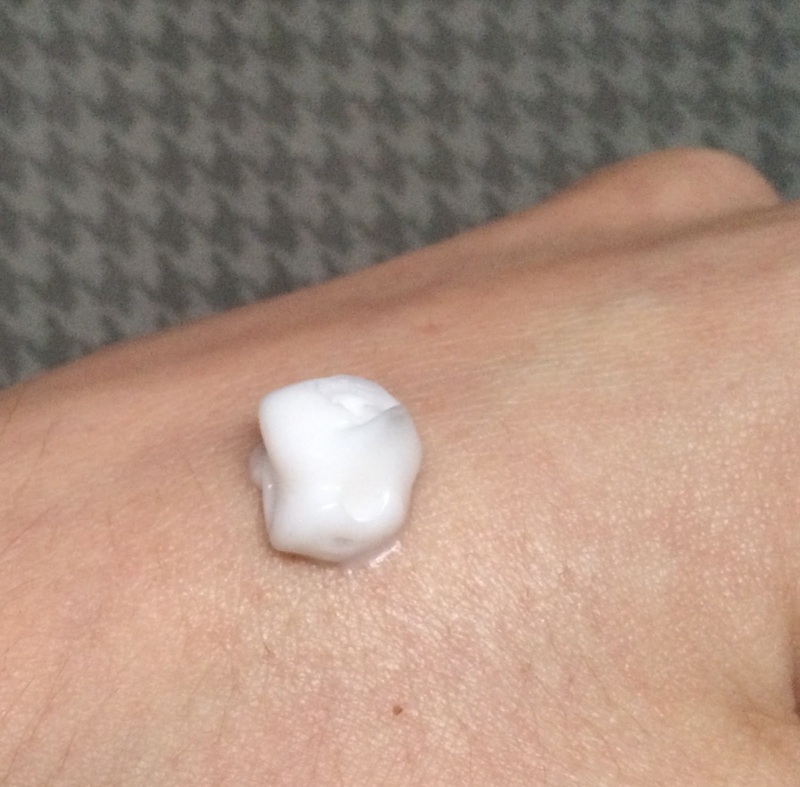 Plus, this moisturizer has a nice, clean scent which reminds me of a spa. And, it is nice and creamy, making it easy to absorb. It doesn't leave your skin feeling greasy or slimy whatsoever. I normally give my moisturizer a few minutes to "settle" before I start putting my makeup on anyway, and I never have an issue when I use the Oleavine Moisturizer. While I would normally use this during the warmer months, I have found that it is keeping my skin hydrated, soft and smooth when I am traditionally battling the flakes at this point. Very impressed and pleasantly surprised by that! 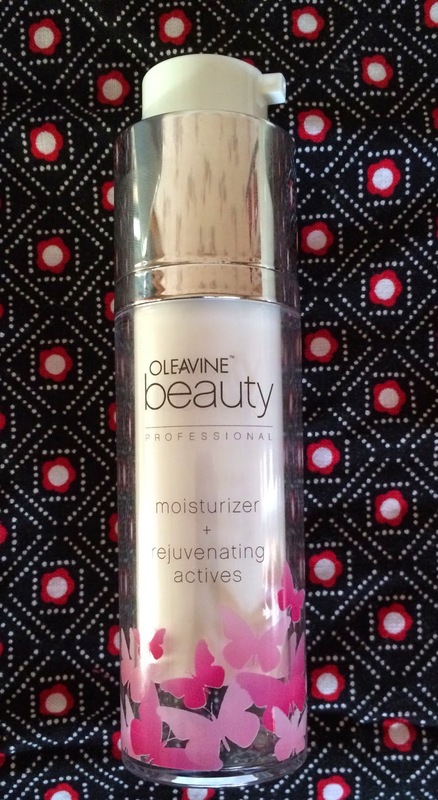 If you are interested in purchasing a pretty AND functional moisturizer, this Oleavine Moisturizer can be found on Amazon for $19.95, HERE. This price is reduced from the normal price of $39.99. There is no telling how long this price will last. If you wish t learn more about the brand, Oleavine Beauty, be sure to check out their website, and their Facebook page. I feel like I have been talking about Vitamin C a lot lately. What used to be a supplement to take to help fight off a cold has quickly made it's way onto the beauty scene, and why not? Vitamin C offers several benefits to the entire body including it's amazing ability to boost immunity, but also in reducing inflammation and wrinkling of the skin. With so many anti-aging products out there with who knows what in them, I am happy to introduce Foxbrim's Vitamin C Lotion. I have worked with Foxbrim in the past, and have such a love for all of the products I have tried. I wanted to get my hands on this lotion because I had so much luck using a Vitamin C serum to help keep blemishes and imperfections at bay, while also fading dark spots and acne scars. I also have Foxbrim's Vitamin C toner that I use as a companion to this. This Vitamin C Lotion uses a combination of natural and organic ingredients that help to combat several different skin issues. First, Vitamin C is used to boost collagen production and fight wrinkles. Aloe is used to bring oxygen to the skins cells while keeping your skin smooth. MSM encourages the maintenance of younger, more radiant skin. 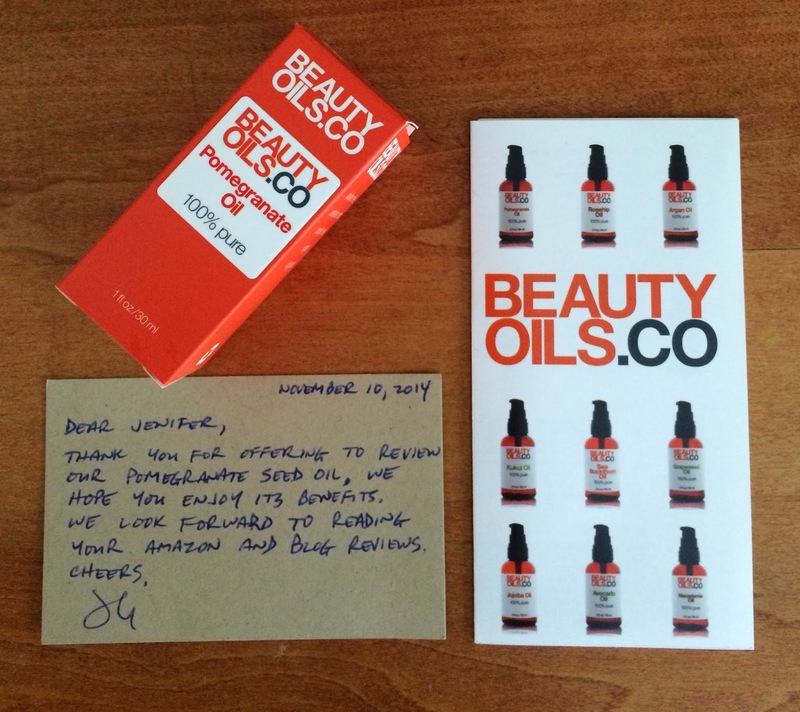 Jojoba oil act very much like the skin's own moisture and contributes to an even skin tone. And Green Tea gives the skin the ability to fight off enzymes that break down collagen and elastin. This little bottle packs a big punch! 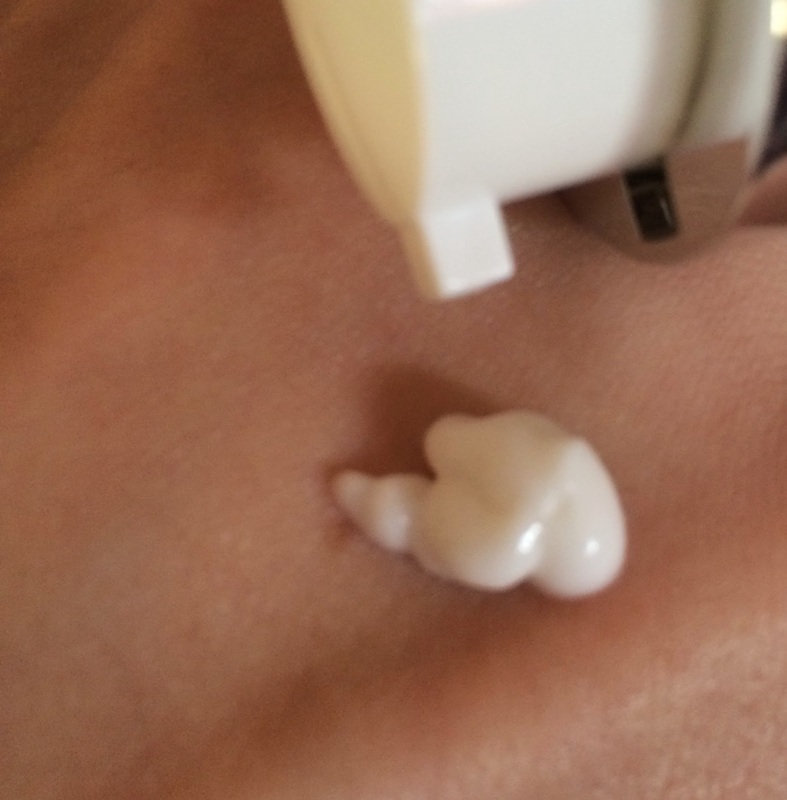 The lotion comes in a convenient pump-top bottle. This makes dispensing so effortless. I'm such a fan of pump-tops. It's the small things, really! This lotion is creamy without being overly thick or hard to blend, and provides super moisturization. During the Winter I need the benefits of a heavy moisturizing cream without feeling like I have a shield over my face, and this does just that. I would be perfectly content using this in the warmer months too because it just doesn't feel heavy whatsoever. 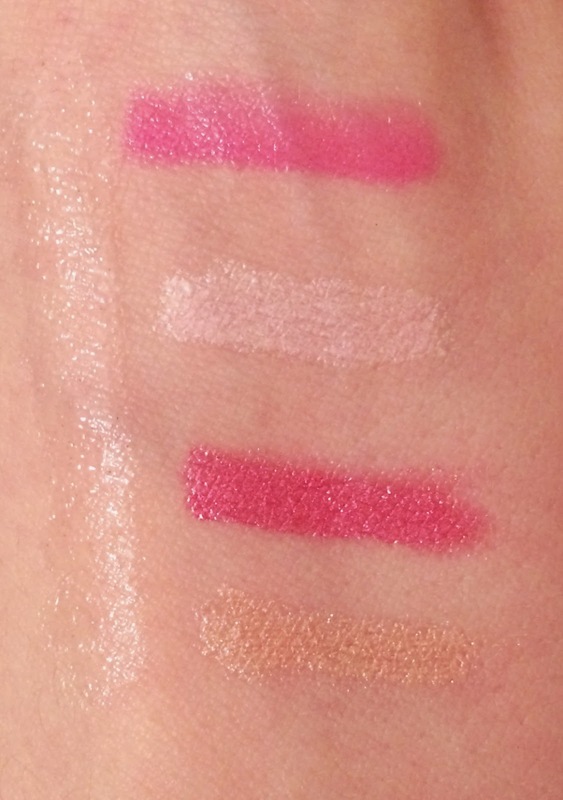 It has no real smell, and would work for all skin types due to the non-irritating ingredients. 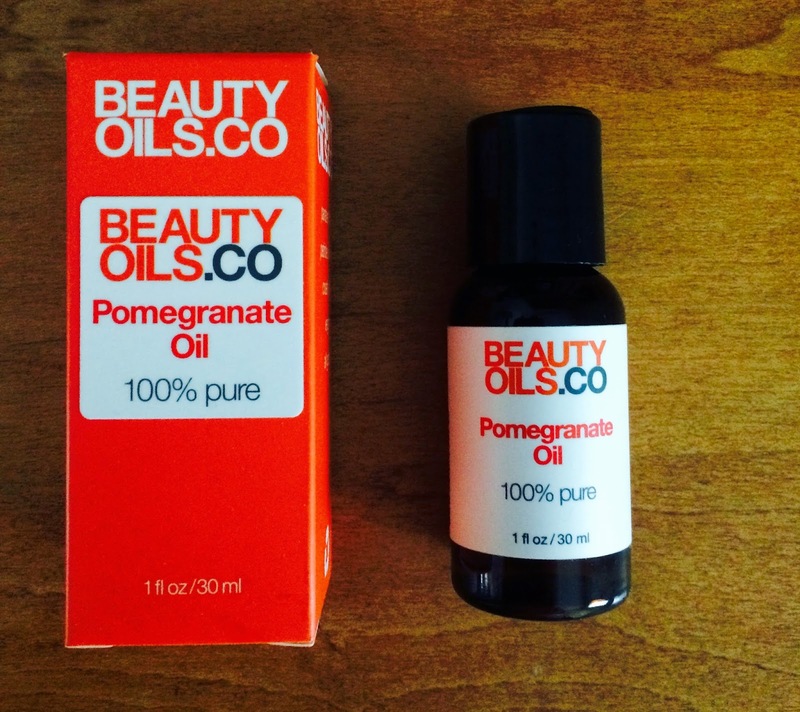 I struggle with acne and this has not caused breakouts - another thumbs up. I enjoy using this as a facial moisturizer, however, it can also be used on your entire body. The bottle is only 1.7 fluid ounces, so it probably wouldn't last too long if you were using it everywhere, but the one thing I have found with natural products is that a little goes a long way! Where I would use a dime sized amount of moisturizer, I now use a pea-sized amount. If you are on the market for a new moisturizer, or are trying to make small steps to becoming "greener", you can purchase your Vitamin C Lotion HERE. 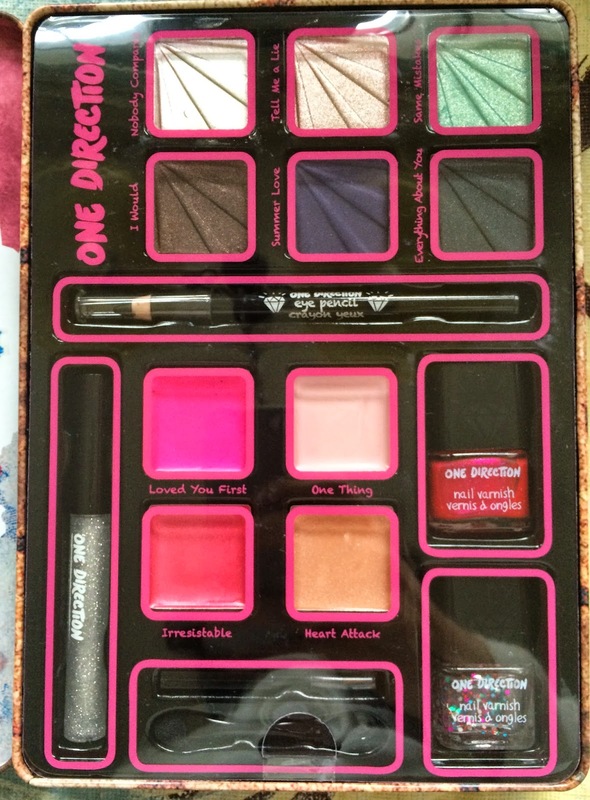 It is currently on sale for $14.95 which is a pretty steep discount. As with all things Amazon, you never know when prices will fluctuate and change so there is no guarantee that this price will last. 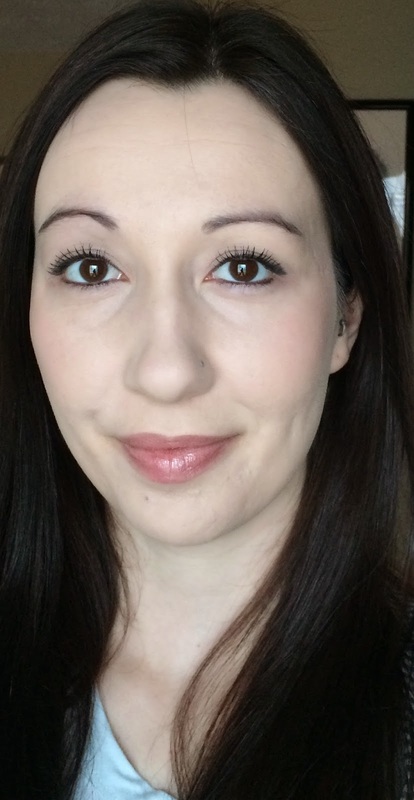 I am a lover of all things skin care, and have been dabbling in at-home treatments. 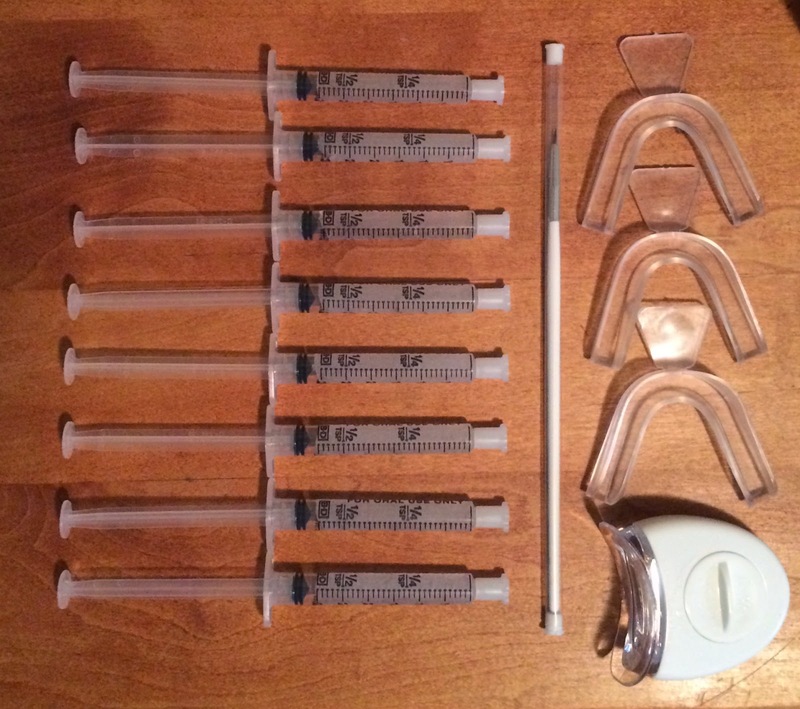 Many treatments performed at a dermatologists office or spa are very expensive, and unfortunately it is not something that my family can afford on a regular basis. They tend to be a rare treat. I tend to get uncomfortable with strangers touching my body anyway so I am always on the lookout for at-home treatments. 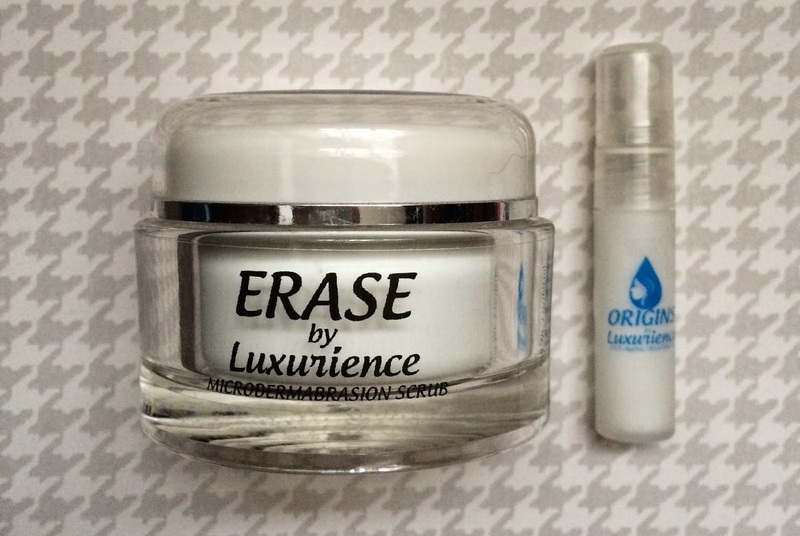 As the Winter blah takes over, I am happy that I got to try Erase by Luxurience, which is a Premium Microdermabrasion Scrub. 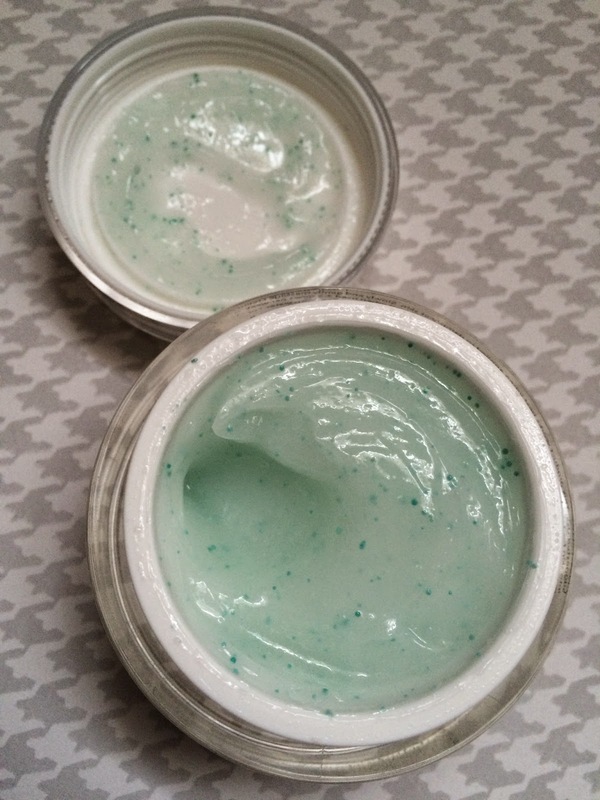 The scrub comes in a beautiful heavy jar, and is a nice seafoam-ish color. It smells very refreshing, like cucumber and clean water. It's hard to describe, but it is nice, relaxing and not overdone. It also has a gel-like consistency with tiny beads to do the scrubbing. My package also came with a mall bottle of moisturizer that I use after the scrub. It has a minty scent and provides a nice cooling sensation after the treatment. It is suggested to use this Microdermabrasion Scrub 2-3 times per week to keep dead skin at bay, thus keeping your complexion looking radiant. You apply it to damp skin and rub around for 1-2 minutes. I tend to use a nickle-sized amount when I do my treatments, and I make sure that my skin is clean of any make-up, although this was never instructed. It has been an absolute cinch to add this to my beauty routine with zero complications. If you feel that you do not have the extra minute or two, start out using it once per week and move up from there. While most people do not exfoliate everyday, it is important to do so frequently to keep dead skin accumulation at bay. Dead skin cells are the main culprit for dull skin, wrinkles and blackheads. Exfoliating also works to ensure that those pricey serums and moisturizers you use actually get absorbed to do those wonderful things that they can do. Microdermabrasion helps with all of that. I have enjoyed the spa-like quality of the Erase by Luxurience Premium Microdermabrasion Scrub. It is gentle enough to use a couple times per week, but strong enough for you to notice immediate results. My face was super-soft after my first use. That just goes to show how well my traditional practices are working. I also like to hope that using this prior to my Vitamin C Serum is what has helped clear up my persistent cystic acne. Over time I hope to reap the acne-scar-diminishing-powers that Microdermabrasion is claimed to hold. You can purchase it on Amazon HERE. It is currently 55% off and costs $31.49. This price is likely a Holiday promotion and probably won't stick around for long. Disclosure: The item(s) mentioned above were complimentary for the purpose of an honest review. The thoughts and experiences expressed are completely my own. Cacao Never Tasted So Good! I don't always love Winter. Here in Upstate New York, snow and cold can get old pretty fast. I feel that for the Holiday season it is a necessary evil, but otherwise, I find myself just waiting it out for warmer, more pleasant weather. That being said, I bake like no other this time of year if for no other reason then to keep warm! I'm always looking to try new recipes, bake new goodies, or discover new ingredients. 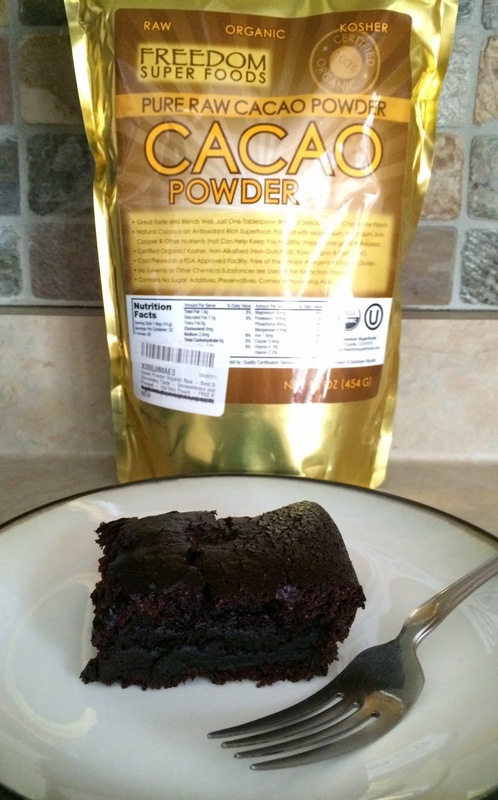 Most recently, I have discovered some truly delicious Pure, Raw Cacao Powder from Freedom Superfoods. First and foremost let me tell you about my love affair with chocolate. More like a dependency actually.... I will eat anything chocolate, and chances are, I will eat more of it hen I am finished. I just love the stuff. When we are out of chocolate, WATCH OUT, I will be in rare form. My mom, knowing of this obsession, gave me a recipe to try, which also gave me the opportunity to use my new Pure, Raw Cacao Powder! I heard no complaints about getting goodies due to a review item. 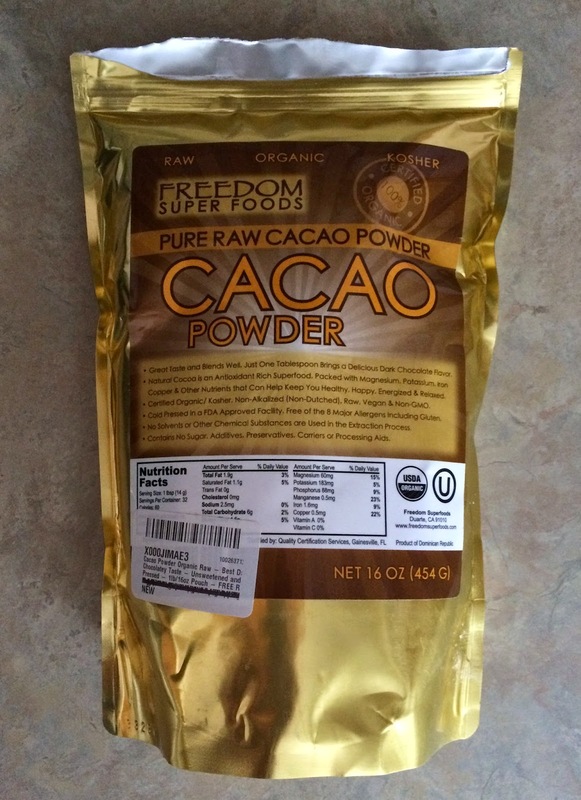 What is great about the Freedom Superfoods Pure, Raw Cacao Powder is that it is USDA certified organic. It is also free of sugars, additives, preservatives, carriers and processing aids. This says to me that I am getting a product that is good for my family, and myself. This particular Cacao Powder is packed with many essential nutrients, including: Magnesium, Potassium, Iron and Copper. These minerals are highly alkalizing which results in keeping you healthy, and therefore happy. It smells amazing, and tastes wonderful in recipes. If you are at a loss for the number of things you can create with cacao powder, you will receive a free recipe book with purchase to get you inspired. I'm looking forward to creating more goodies as the season progresses - next up will be crinkle cookies, they are one of my faves! If you wish to purchase your own 1 pound bag, you can do so HERE for only $14.97. Be sure to check out Freedom Superfoods website for more information on the products that they offer, and keep up with the business on Facebook, Twitter, Pinterest and Google +. Disclosure: I received one or more of the products mentioned above for free usingTomoson.com. Regardless, I only recommend products or services I use personally and believe will be good for my readers. I get the opportunity to review MANY items, and to be fair, I give my honest opinion, including aspects of items that I feel will be beneficial to consumers in general. If there is a product I do not care for, I simply will not purchase it, or re-purchase it, but as a blogger it is my duty to spew information based on my experiences, so that everyone out there in the cyber world can make better informed purchasing decisions. There are many items that I like, will use and will enjoy using, some that I downright despise, and others that I feel indifferent about. This next one, is one of my favorites, EVER. See, I am a lover of coffee. My LIFE does not start in the morning until that first cup is pumping through my veins, my stomach, or whatever. I barely talk to anyone until that has gone on. I just do not feel alive or capable enough to deal with anything until I have had my first cup. After that, I can conquer the world. Now, keep n mind that I have a 9 year old who I need to get ready for school each morning, and a 2 year old who is pretty clingy with her Mama. Mornings can get hectic between packing lunch, snacks, making sure papers are signed and hats and gloves are on, teeth are brushed and breakfast is had. I have found myself warming up my cup of coffee three or four times in a morning before I can finish it. That is, until the Mira Stainless Steel flask came into my life. I'm not going to lie.... I initially thought that it was a tad small. And it is, compared to your traditional travel mug. 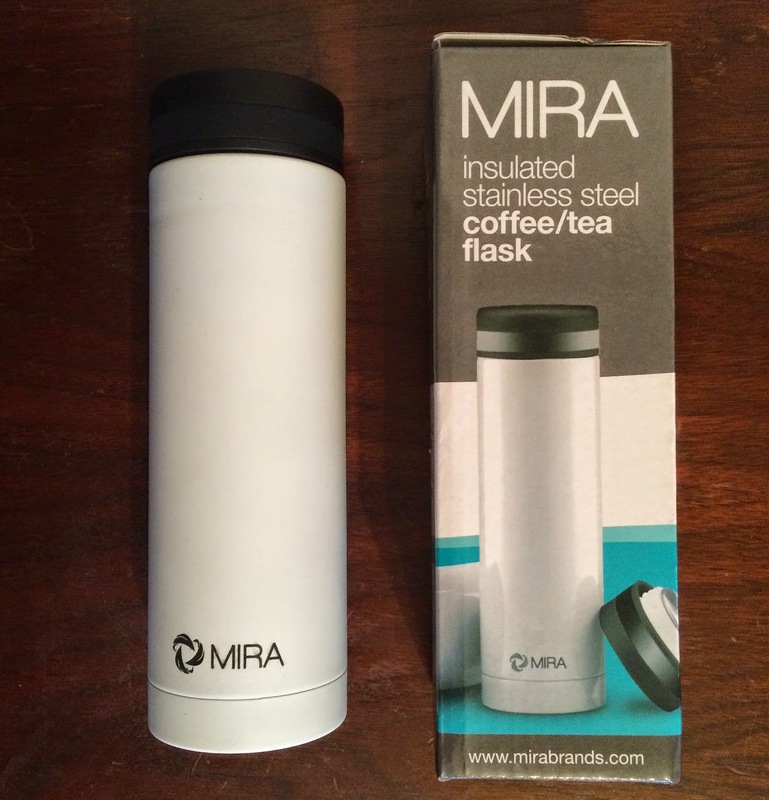 The Mira Stainless Steel Flask holds 11 ounces. This equals out to be pretty much exactly how much coffee I pour into each mug of it that I drink, so I am beyond pleased with it. This baby saves me from needing to heat up my coffee 759728754802 times per morning. I have not had to warm up my coffee even once sine I began using this. It keeps my coffee piping hot to the last sip, whether that is 5 minutes after I pour it, or 2 hours. It is easy to clean, easy to use, and it's cute! I have absolutely nothing bad to say about it. If you are interested in purchasing one for yourself, you can do so HERE where they are currently $12.95. Amazon prices fluctuate often, so it may change again. This is the truth, right? I try to stay healthy and take my vitamins day after day. I don't always remember, and sometimes I am just avoiding the swallowing of huge horse pills that feel like they sit in my throat for hours. Honestly, I take my kids' vitamins occasionally to avoid it altogether. I have often wondered why more quality brands do not offer chewable vitamins for adults. I recently tried NutraBear Vitamin B12 + Multi-Vitamin Chewable Gummy Bears, and they are a big hit with the adults and the kids! 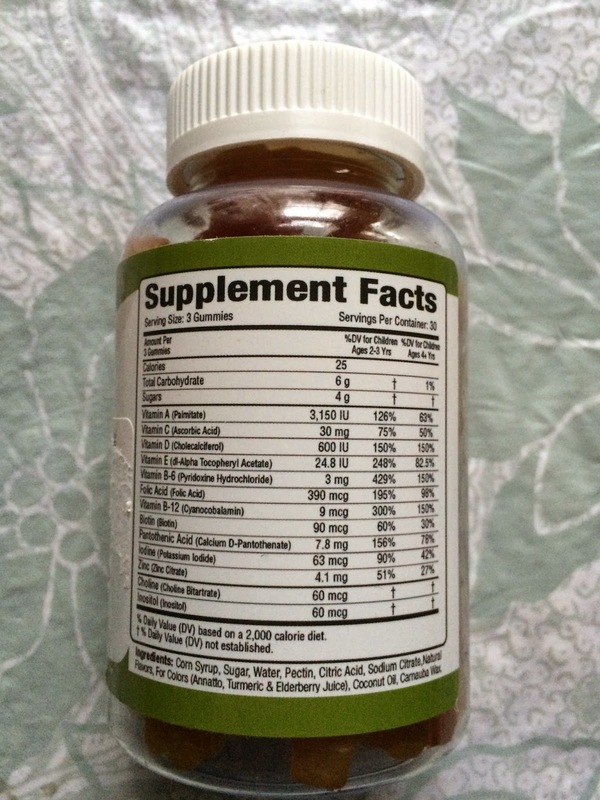 While these vitamins are marketed as a B12 they actually contain several other nutrients as well. The extensive list follows: Vitamins A, C, D, E, B6, Folic Acid, Vitamin B12, Biotin, Pantothenic Acid, Iodine, Zinc, Choline an Inositol. This is a great substitute for those days that I just don't feel like swallowing a handful of vitamins that are the size of golf balls. Plus, they are safe for kids too - I give my kids one per day. It is recommended to take 3 per day, 3 hours apart. However, I have a hard enough time remembering to take them once per day, so I try to take them with breakfast and with dinner. This is said to be an especially good choice for people who are vegetarian or vegan, as they often have a difficult time finding B12 in their usual food choices. To top it off, these are Gluten-Free, Gelatin-Free and contain no artificial flavors. Lacking in vitamin B12 can cause serious problems, including anemia, weakness, tingling in the arms and legs and loss of balance. As you age, your body becomes more resistant to absorbing vitamin B12. Taking vitamin B12 is said to be helpful in boosting your mood, increasing your energy, improving concentration, and providing additional supports to your immune system. All good things if you ask me! No reason not to make sure you are keeping this in your diet, and especially important for you to be getting some form of B12 so as not to become deficient. Plus, they are little teddy bears! How cute is that? This makes it super-easy for the kids to WANT to take their vitamins. Mine kept asking for them. They also taste great, honestly. They are not overly grainy, and do not taste like they are just trying to disguise the awful vitamin taste with a boatload of sugar. If you would like to add these super cute vitamins to your diet (or someone else's), run HERE where a 90-count bottle is $14.99. There is no telling how long this price will last as Amazon prices fluctuate often, but it is a good deal!